The ongoing crisis between Turkey and Russia, Israel's displeasure with Russia's support for Shiite militant group Hezbollah, Netanyahu's recent statements saying that high-level talks are held on the energy issue with Ankara under the shadow of the worsened relations between Israel and Egypt over the inactive gas pipeline is directly signaling towards a critical geo-political development in Eastern Mediterranean which is going to deeply influence the regional energy market in coming years. The Leviathan, the largest of the fields, is estimated to hold as much as 3.500 billion cubic meters (BCM), which is 673 times more than Israel consumed in 2011, or 8 times more than the whole European Union used in 2012. In an ideal scenario, one that produces stability and economic gain, Israel could become a significant gas exporter until the end of the decade, while Turkey might enhance its standing as a vital energy transit station and a key regional player. But, as it happens not only in the Eastern Mediterranean, there are several obstacles. The majority of the discovered gas is located within the Israeli exclusive economic zone and can be drilled without constraints (that is why many foreign firms, with U.S. giant Noble Energy in the forefront, have been so active in the area). Relatively minor Mari-B field has been functioning since 2004, the real boom started with Leviathan coming online earlier in 2013, and with Tamar, Tanin, and newly discovered Karish went online in October 2015. First Option, Israel could built its own LNG terminal near the city of Eilat and then deliver the gas on tankers through the Mediterranean Sea to Europe, or through Gulf of Aqaba and Gulf of Aden to lucrative South-East Asian markets. Nevertheless, construction of such terminal is an extremely expensive venture and represents an attractive target for a potential terrorist attack. Second Option, Israel considers a joint pipeline construction with Cyprus and Greece. While such option might bring a relatively cheap and quick solution, it seriously limits size of the final export markets as it excludes Asian Markets. Furthermore, cooperation of Israel with Cyprus would gravely infuriate and alienate Turkey, for Israel strategically more important than Cyprus. Third option would be to construct a pipeline to Jordan where Israel could silently connect to the existing infrastructure and transport Israeli gas further to otherwise hostile countries in the region. Given political realities and general hostility towards Israel, added with vulnerability of an on-surface pipeline, this possibility is the least likely one. Fourth Option, A pipeline that could be built between Turkey and Israel seems to be a cheaper and more feasible option as the distance of the project is about 500 kilometers, which is less than half the distance of the Cyprus option, and it is estimated that this project may cost only $2 billion. After reaching Turkey, Israeli gas could connect the Trans-Anatolian Natural Gas Pipeline (TANAP), which is still under construction, and by this means, up to 10 billion cubic meters of Israeli gas could be sold to Europe annually. Turkey, a country with no direct access to the discovered fields, but with great political leverage and even greater motivation, will inevitably the decisive player in the unfolding game of regional gas. Potential successful wide collaboration with Israel and other countries in the region, notably Cyprus and Greece, could well redraw the political map of the Eastern Mediterranean. Given Turkish lack of its own energy resources, it has to import over 90% of its oil consumption and almost 100% of its rapidly growing natural gas needs. Having Russia and Iran as the major providers, Turkey is eager to diversify its portfolio of suppliers. But Turkish major ambition derives from its geopolitically strategic position; it is keen to become a true energy hub, a center which connects commodity-rich East and hungry-for-energy west. This clearly definable interests – to participate in transportation of gas from the Eastern Mediterranean – together with Turkey´s political regional ambitions, put the country into an uneasy role and shrew the regional gas exploitation in uncertainty. 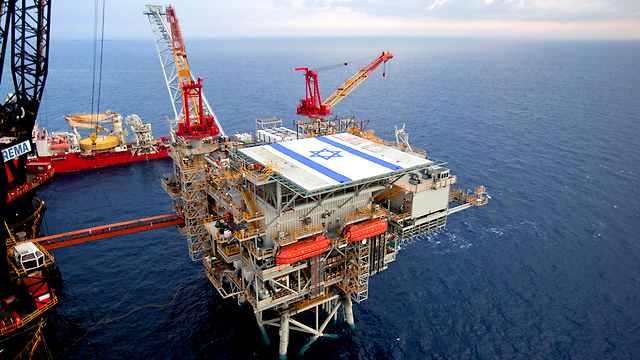 A gas field, Leviathan located in the eastern Mediterranean off the coast of Israel, was discovered in December 2010. In November 2014 Israel proposed that EU countries invest in the under-sea pipeline from Israel to Cyprus then to Crete and mainland Greece where the gas would then be shipped overland to other European countries. It is estimated that the project will cost more than $10 billion. Furthermore, unlike the undersea pipelines that run from Russia to Germany under the shallow waters of the Baltic Sea, this project has to cross the deep Mediterranean, which can sometimes reach 2,000 meters. Therefore, commercial and technical realities have raised doubts over the project. However, there is still a Fourth Option, a pipeline to Turkey. Notwithstanding prevailing differences between the two key regional actors, a close cooperation with Turkey remains both strategically and economically very attractive for Israeli policy makers. To replace the Russian Gas Network, Ankara simply needs to demonstrate that it is capable of promoting its vital interests in the region; previously it strongly opposed any exploitation until diplomatic disputes with Israel and notably Cyprus will have been solved. But so far, Turkish opposition seems to have very little impact. Israeli largest field came online earlier in 2013 and Cyprus has announced its final decision to individually construct a LNG plant and start exporting its gas around 2020. Being left out of the game when all cards are had been played, would be a major blow not only to Turkey´s strategic long-term interests, but also to its reputation. Bound by NATO membership and facing the EU Member Cyprus and U.S. ally Israel, diplomacy remains the only instrument at Turks´ disposal. Normalization of Turkish relations with Israel in March 2013 was the first step towards future cooperation in gas exportation. While Turkey is dependent on Israeli will (or need) to engage it, Netanyahu´s government has a pallet of options how to export its redundant gas. Unfortunately, or perhaps luckily for Turkey, each possibility contains severe challenges. A stable and long-term partnership in gas exportation (or even exploitation) between Israel and Turkey would significantly increase security of the region in the medium and long run. Through building a seabed pipeline, Israel could get access to a developed and wide Turkish gas infrastructure which redistributes gas to many markets. Simultaneously, increasing gas volumes flowing through Turkey would further strengthen Ankara´s ambition to become a hub. Although surrounding Muslim countries might not welcome such partnership, Turkey could easily satisfy all anti-Israeli sentiments by occasional criticism of the Jewish state and by stressing the “pure economic nature” of the cooperation. Construction and administration of a pipeline would require regular joint high-level consultations and meetings. These would inevitably lead the two regional powers to discuss also long-standing regional issues, including status of Palestine, post-Arab spring development, armament, and other key security questions. Connected by pipeline, Turkey and Israel could gradually find themselves tightened closer to each other than ever before. Should, on the other hand, Turkey fail to attract Israel (or Cyprus, which is extremely unlikely) to cooperation and thus remain outside of the Eastern Mediterranean gas bonanza, the most probable result would be an increase in tension in the region. True, Turkey would not be willing to resort to military means to deter any Israeli or Cypriot exploitation. But if Turkey would openly declare that it is not willing to tolerate any unilateral Cypriot action, the tiny island country with 30 000 Turkish soldiers stationed on its northern part would find itself in a very precarious position. Israel would then remain greatly isolated, with a lot of gas but only a small market and with no Turkish nor Cypriot export routes. In such a scenario, strained relations would widen gaps between individual states in the region. Israel would stand alone, especially if Palestine and perhaps Lebanon would succeed to get closer to Turkey in their common cause of opposing any drilling until being granted a stake at the profitable venture. Egypt has been a major gas exporter to Israel but suffers from insecurity and instability since Abdel-Fattah el-Sissi took over power after overthrowing Egypt's first democratically elected president, Mohammed Morsi. The pipeline between Israel and Egypt has been attacked dozens of times by the DAESH-linked extremists in Sinai and has been put out of action. The crisis between the countries deteriorated as Haaretz reported on Sunday "Cairo ordered two state-owned companies to freeze talks on importing Israeli gas and would issue no import permits after international arbitrators ordered the companies to pay $1.76 billion compensation to the Israel Electric Corporation for halting gas supplies three years ago." The Israel Electric Corporation sued Egyptian General Petroleum Corporation (EGPC) and Egyptian Natural Gas Holding Company (EGAS) for as many as $4 billion in damages and claimed that the company had been obliged to buy more expensive fuel to produce electricity. Israeli media claimed that the country lost 18 percent of its electricity generated from gas although Egypt rejected the claims. The worsening relations between Egypt and Israel may pave the way for accelerating TANAP. Turkey relies on Russia for $20 billion of natural gas every year. If that flow is even slightly altered, even for a single day—Turkey will grind to a halt. That natural gas engines Turkey’s electric grid. Gas is next. Russia will start pulling it sooner or later. They have already canceled work on the underwater gas pipeline which, together with the nuclear electric plants, would eventually make Turkey more energy independent. Turkey cannot get that much gas replaced. They are in public conflict not only with Russia but also with alternative suppliers. They sided with the Muslim Brotherhood so Egypt will not supply them. They have been very aggressively critical of Saudi Arabia so they will not supply them. There is always Israel and Israel could, potentially, help supply Turkey’s natural gas needs by feedings it's own to existing TANAP. The energy issue seemed to be the only common ground for Israeli and Turkish interests but the war in Syria may also help the two countries open a new era. Turkish-Russian relations entered a new phase after Turkey shot down a Russian jet that violated Turkish airspace couple of weeks ago. Turkey and Russia have been in a rift over the Syrian war as Russia, along with Iran, staunchly supports Bashar Assad and Lebanon-based Shiite militant group Hezbollah, which is considered a terrorist organization by Israel. It is but obvious, the common threats and mutual economic interests may change the fate of Turkish-Israeli relations and the appointment of new Chief of Mossad, Yossi Cohen might play a significant role during the amendment process. The relations that broke down after Israel raided a Turkish aid flotilla in international waters and killed 10 Turkish nationals one of whom was holding also an American passport, in 2010, may enter into a new phase after a stagnant period.